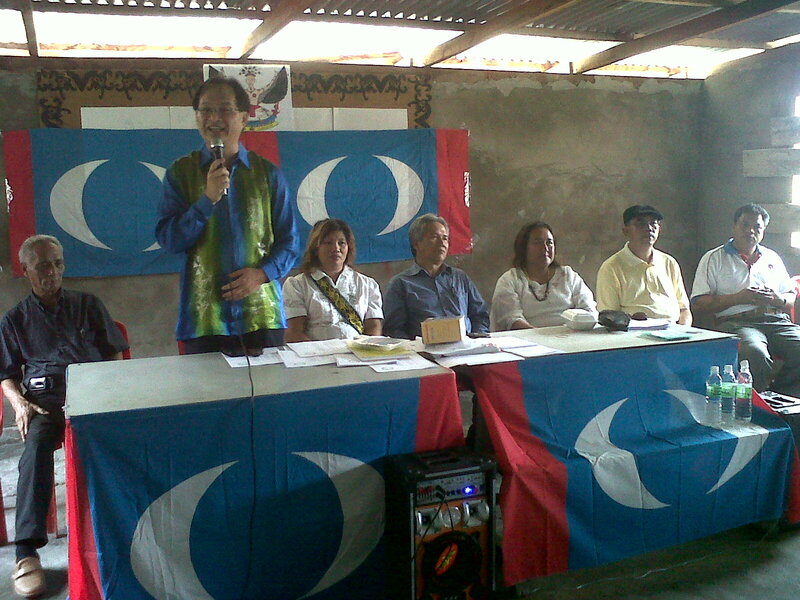 Suara Sarawak: These pictures will tell you why the Barisan Nasional is jittery. 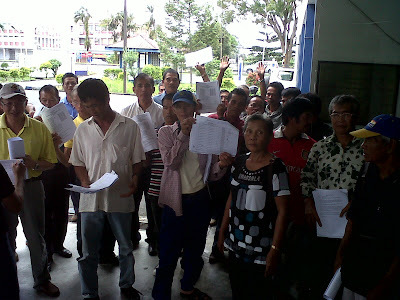 On Saturday morning last week, PKR lawyer See Chee How accompanied twenty four native landowners to lodge police reports against Quality Concrete Sdn Bhd which had forged their signatures in a document affirming consent for the company to log timber on their lands. Last week also saw the visit of YB Zuraida Kamaruddin, Head of the Women's Wing of PKR Malaysia, Wanita KeADILan, to Lawas. 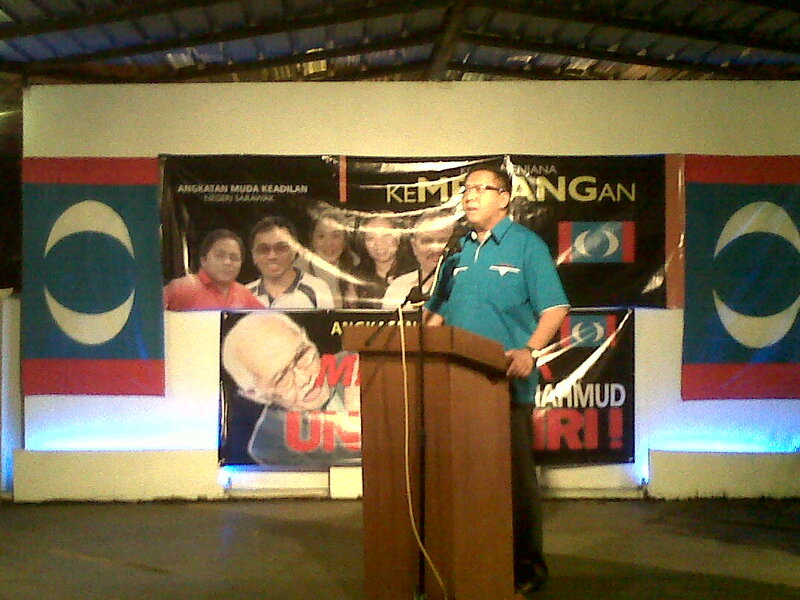 On Saturday 19th February, the youth wing of PKR Sarawak, the Angkatan Muda KeADILan (AMK), held a fund-raising dinner at Saddad Court in Kuching. 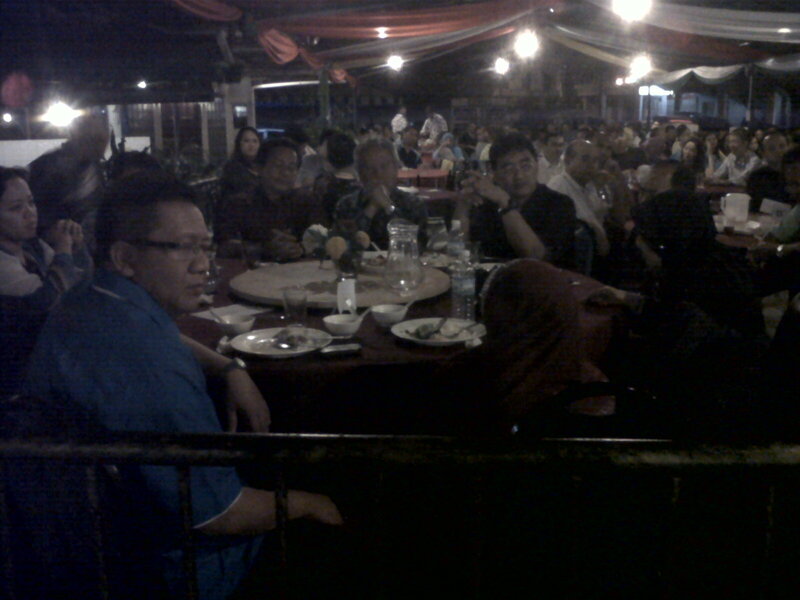 Originally, the dinner was planned to be held in Serian but unfortunately, the police declined to issue a permit for the gathering in Serian. So the dinner was moved to Kuching. 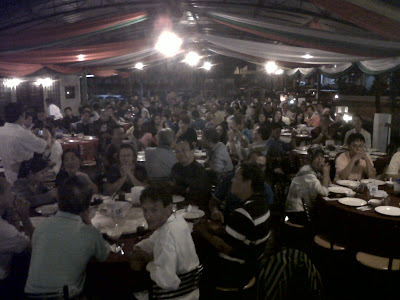 The dinner was attended by close to three hundred supporters comprising mostly new members. 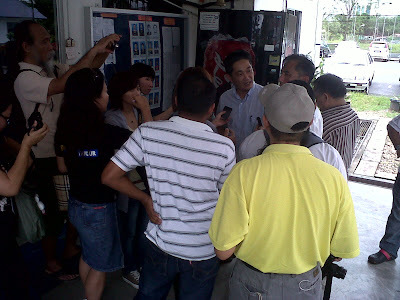 The new line-up for AMK Sarawak, headed by their Chief, Ahmad Nazib (centre). 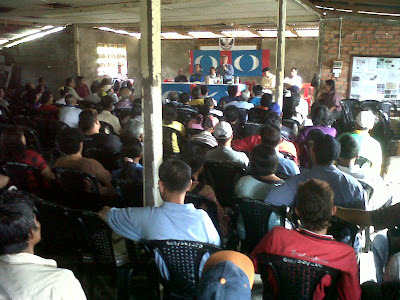 On Sunday 20th February, PACA training was held in Balai Ringin. PACA stands for Polling Agent and Counting Agent. These training sessions are important to secure our votes and train our people to make sure no hanky panky happen on polling day. The training was attended by over a hundred agents who were addressed by the leadership. 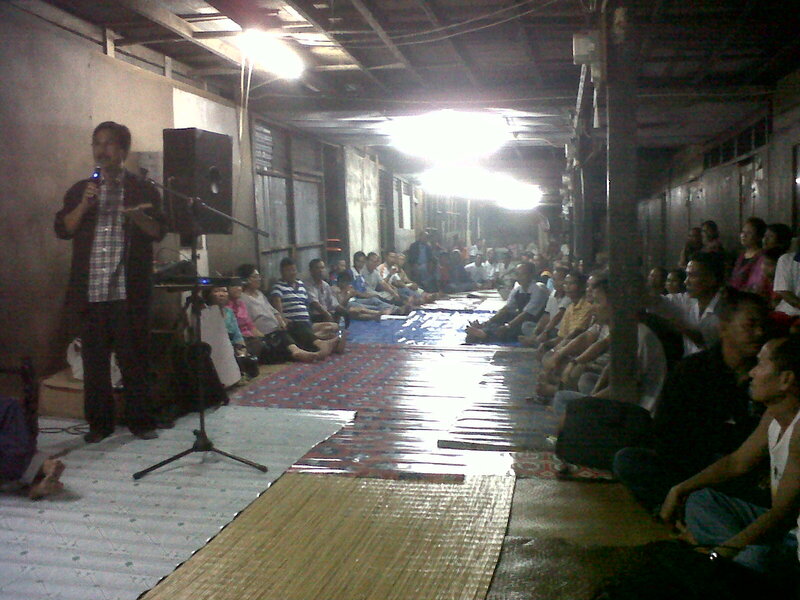 Later in the evening, a ceramah was held in a longhouse in Demak, Saribas. 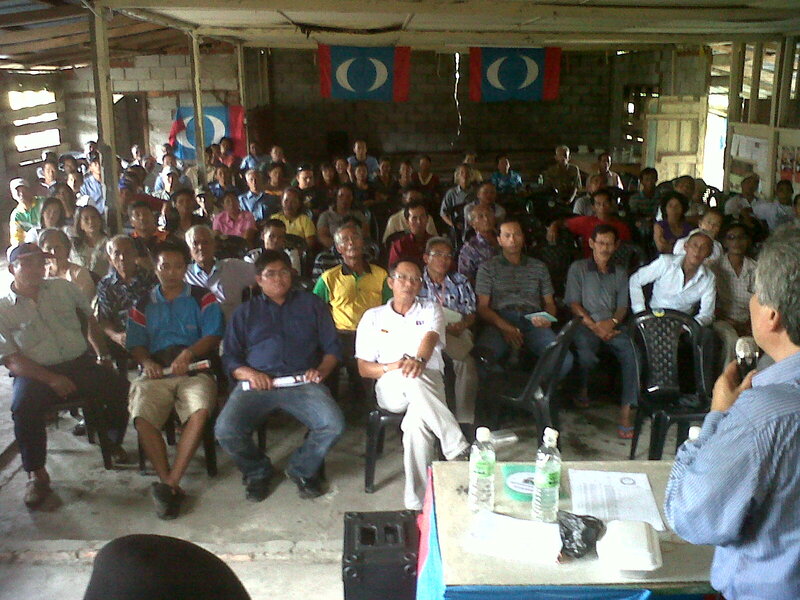 Longhouses are opening up to PKR and their tuai rumah are allowing our people to speak to them. The winds of change are blowing through Sarawak as PKR works the ground. 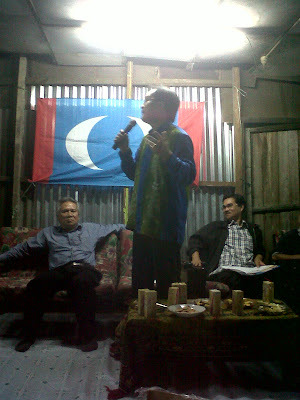 Abang Zulkifli Abang Engkeh, PKR State Secretary, speaking in Iban to the folks. 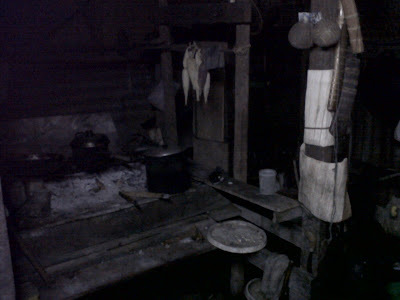 This is a photo of the kitchen in one of the rooms of the longhouse. 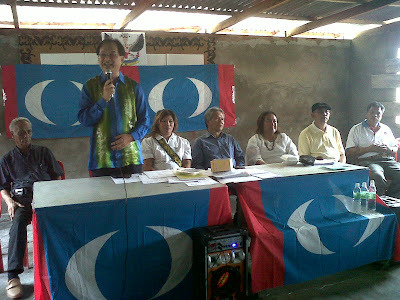 Abject poverty will be a thing of the past when Pakatan Rakyat takes over Sarawak with a manifesto to bring REAL development to the rural folks. Help us to win Sarawak. 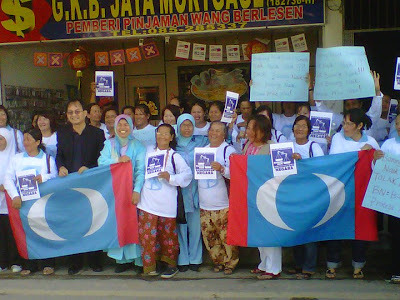 Campaigning costs money and every ringgit helps. Make a monetary contribution today and be a part of the tsunami of change. Wong Huan Yu (State Treasurer). Show more of your exploit among the voters. More photos of your grassroots activities. 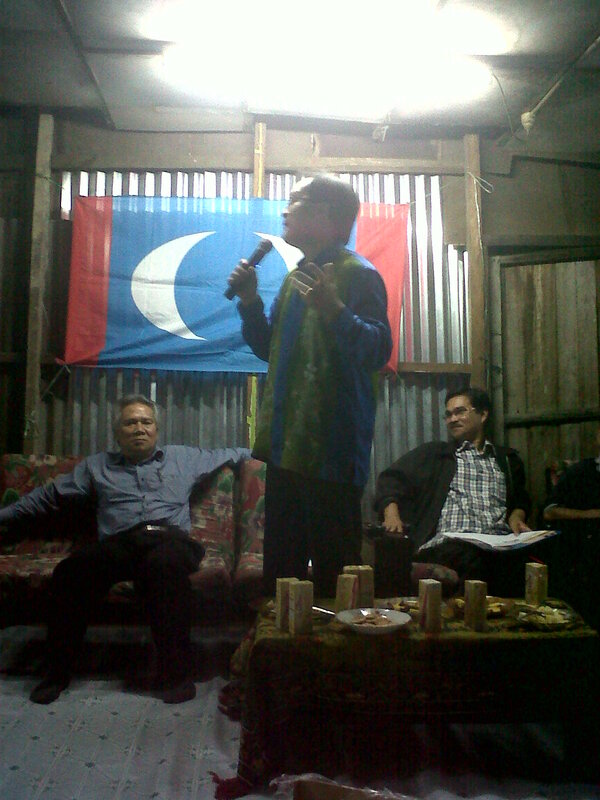 Transcend racial and cultural based politics because your aim is to rule Sarawak. Never be bogged down by petty squabbles. 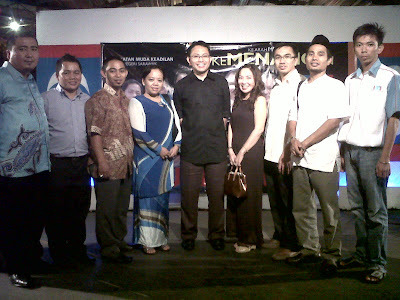 Your goal is to install the next Chief Minister -Baru Bian. We don't want BN corrupt government, we want a better, cleaner and more efficient government! Worse come to worse, we Sarawakians want an independent state like Singapore and Brunei where we can manage our own land and resources which had been greatly exploited by Semenanjung colonialists and corrupt leaders of BN. See how well-off Brunei and Singapore are. We can be even better than them with good administration becoz Sarawak is actually the richest in terms of natural resources but being siphoned elsewhere by the Taib and Mahathir regimes, REAL SAD! Dayaks and Iban, stand up and fight now before nothing is left of your lands. You are poor now so you have nothing to lose. 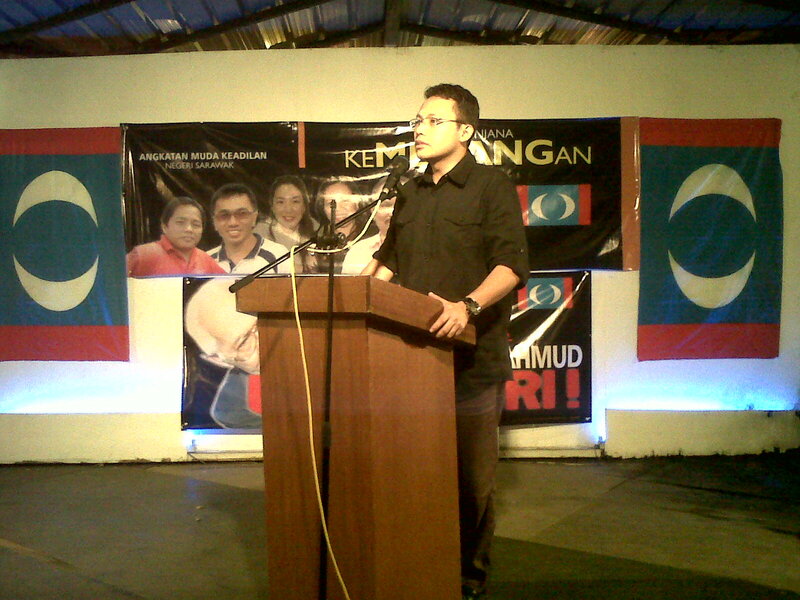 A new Government will be form on 16th April 2011 midnite.PKR will be for all Sarawakian. 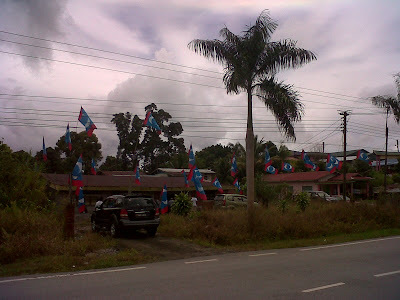 WHAT BELONG TO SARAWAK,WILL STAY IN SARAWAK. WHAT BELONG TO SARAWAK,BELONG TO ALL SARAWAKIAN IN SARAWAK. WHAT BELONG TO SARAWAK,WILL BE SHARED TO ALL SARAWAKIAN IN SARAWAK. WHAT BELONG TO SARAWAK, SARAWAKIAN WILL FIGHT FOR IT. WHAT BELONG TO SARAWAK, SHALL RETURN TO SARAWAK AND TO ITS PEOPLE. Congratulation for your hard work Baru Bian. We see the urban people especially Chinese voted for DAP because they are well informed of Taib's billion Ringgit property in overseas. 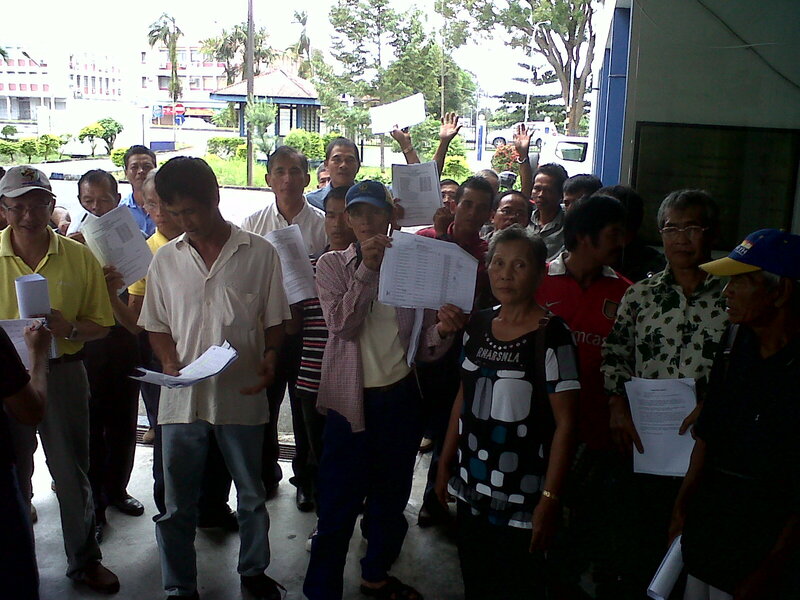 The rural people in Sarawak do not have money to buy computer and do not have electricity. Seeing is believing. So, it is vital to print a booklet to show property of Taib and distribute to each long house to show them. 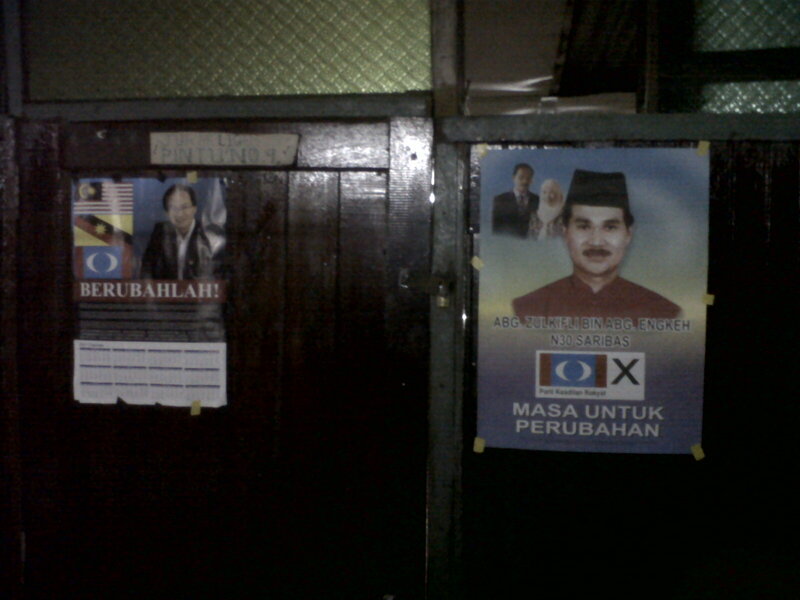 When the rural people especially those without electricity see those photos, anger and dissatisfaction against Taib would grow. 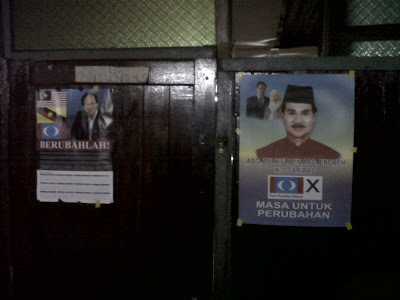 For the sake of coming general election, please print ASAP and downlaod to your laptop too those photos at sarawakreport.org.